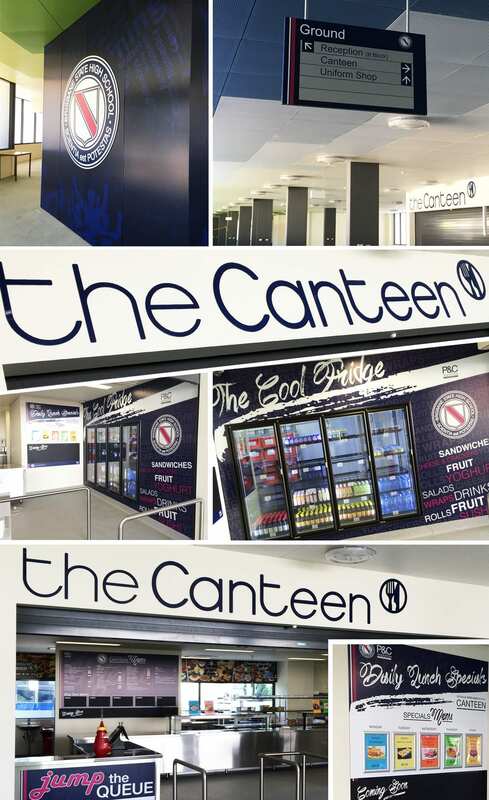 VARIOUS INTERNAL AND EXTERNAL SIGNAGE AND PRINT. 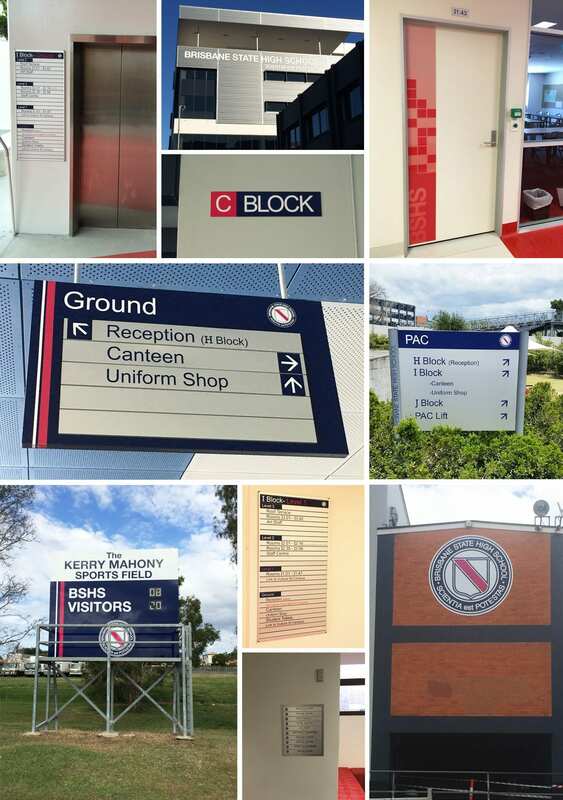 We provided a full range of signage solutions and printed graphic visual displays throughout the school during it’s $60 million redevelopment. 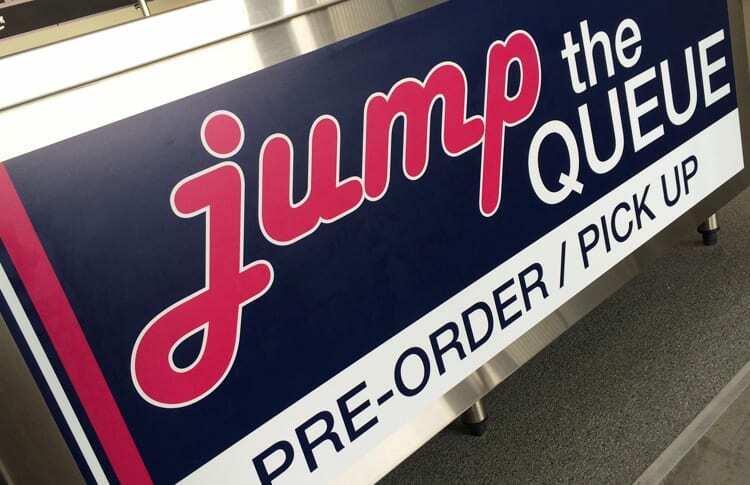 Digitally printed fridge wall wrap. 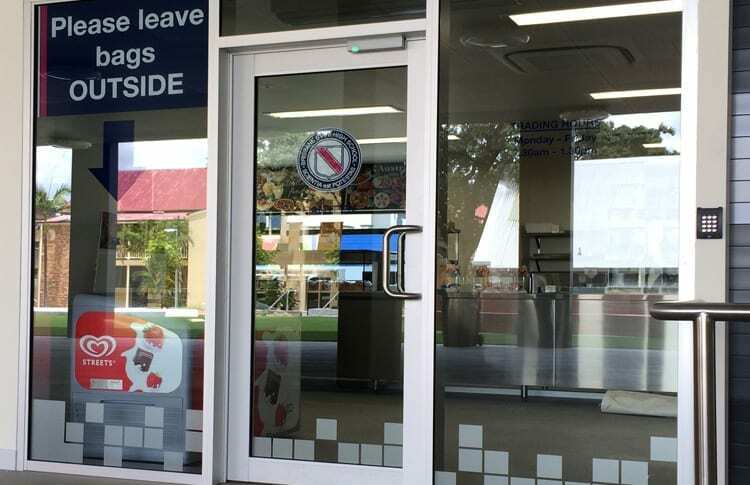 Vinyl window graphics and frosting. 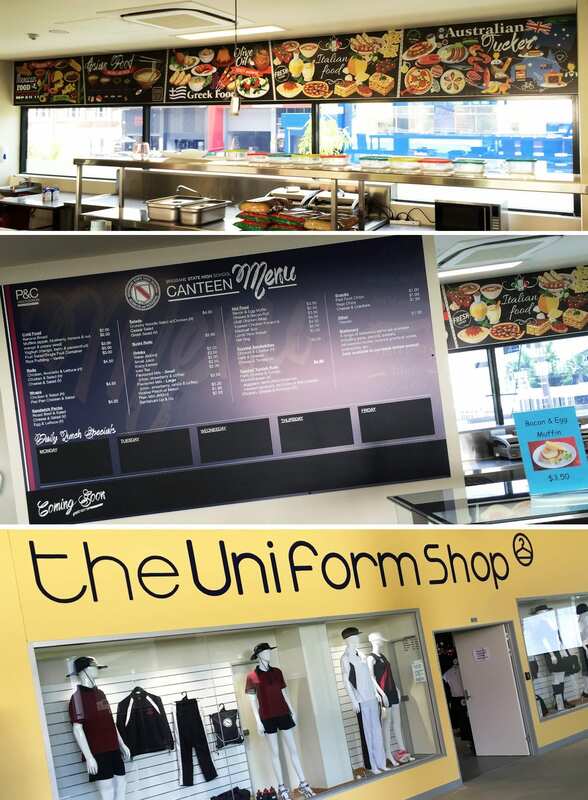 Alupanel digitally printed Canteen signs. 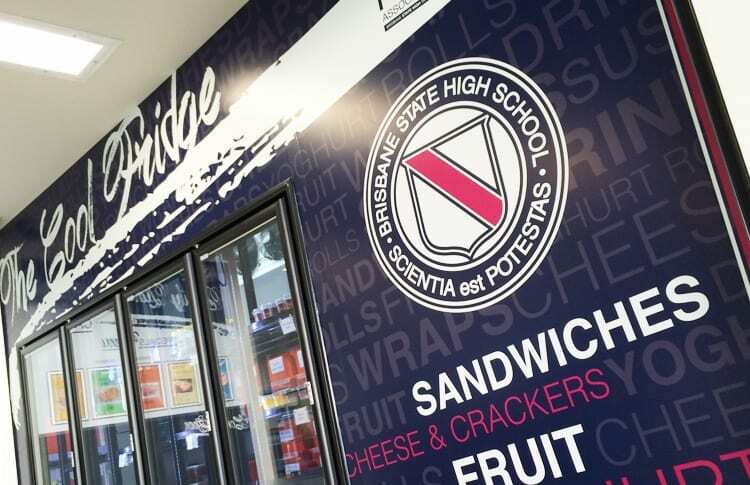 Brisbane State High School has come to symbolise and exemplify the excellence of state school education. 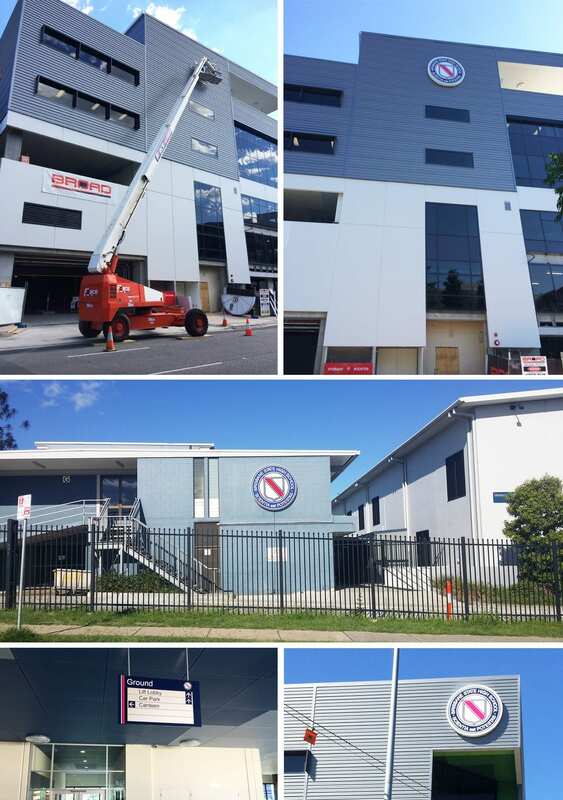 We are proud of the great number of past students who have contributed to their state and country through their achievements at the highest levels in public life, sport, business and the community. We are just as proud of those past students whose lives have been lived on a more modest scale, but who, through the decency, ethics and commitment that their school helped to develop, have served their community just as well. Our present students continue this tradition.